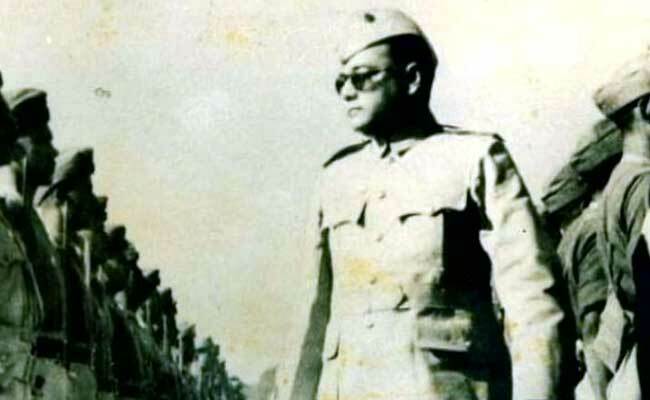 "I hope that we get closure on this matter and that we get the remains returned and I hope we can do this without controversy because that would be the worst thing we could do for Netaji's memory," said Ms Bose-Pfaff, an economist based in Germany. Many people have refused to believe that Netaji Subhas Chandra Bose died in the plane crash. London: Freedom fighter Netaji Subhas Chandra Bose's remains should be brought back to India from Japan so as to give a closure to the matter, his daughter Anita Bose Pfaff has said. She was speaking here at the launch of a book "Laid to Rest" by journalist Ashis Ray which collates the findings of 11 different investigations and concludes that he died on August 18, 1945 in a plane crash in Taipei. Many people have refused to believe that Netaji Subhas Chandra Bose died in the plane crash. Mr Ray's book lays out his investigations into the incident. Ms Bose-Pfaff said she understood why so many people - both relatives and admirers - had been reluctant to accept this tragic account of events, pointing out that the difficulties in communicating internationally at the time meant nobody could be immediately certain of the facts. "People like mysteries," she added, "and my father was a romantic and tragic hero and so somehow it was not so surprising". Mr Ray echoed her message about Netaji Subhas Chandra Bose's remains. "It's about time India did something to bring the ashes to India." Ms Bose-Pfaff also talked about the impact on her own life of being related to such a significant political figure, explaining that living outside India meant she did not feel the pressure experienced by the children of other leaders of the freedom movement to assume political responsibilities. "I owe it to my mother that the legacy was not too difficult. She said, 'your father was a great man but that doesn't make you a great anything'. I tried to educate me to be humble," she added.